Why Choose The Falls Golf Club? 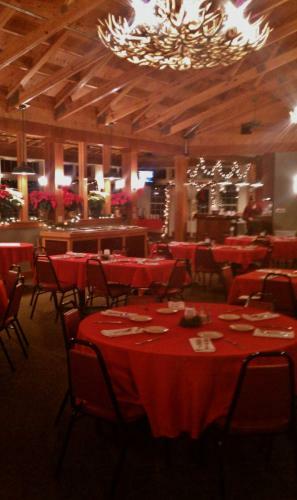 We offer many amenities to our patrons including event facilities and catering. Every year, The Falls hosts tournaments, banquets, weddings and reunions to suit almost any budget. Our facilities and views provide the perfect setting and experience for these memorable occasions. For your next wedding, party, reunion, or business meeting join us at The Falls Golf Club, where we have a variety of indoor and outdoor options available. Let our professional event planners work with you to create memories that will last a lifetime. Make your selection from a variety of menu options and choose additional services that are sure to sweep your guests off their feet. To learn more about the unique banquet, reception, and meeting facilities of The Falls Golf Club call Brad Chapman at 636-240-4653 .